​Newcastle are keeping tabs on Blackburn youngster Lewis Travis after the 21-year-old's impressive performance against the Magpies in the FA Cup. Travis is seen to be a cheaper alternative to Newcastle's primary transfer target Miguel Almiron, who has been heavily linked with a move to St James' Park. According to the Sun, Benitez was impressed by youngster Travis during the recent FA Cup tie between the two sides and five other unnamed Premier League sides are also tracking his progress. 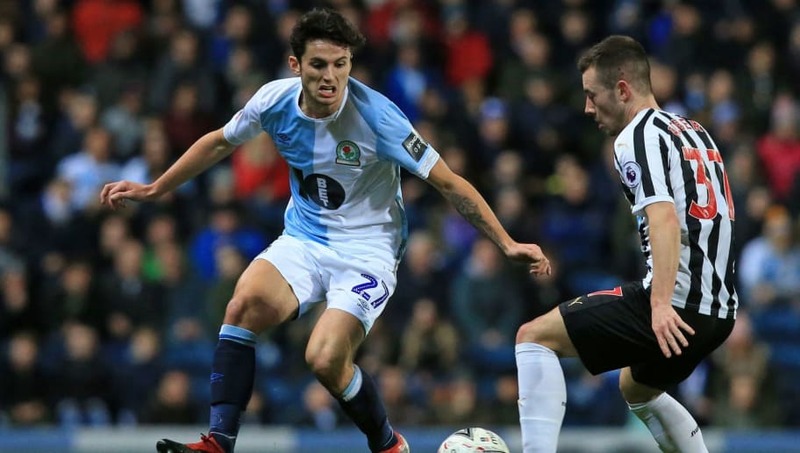 The youngster has broken into the first team at Ewood Park this season and has impressed in midfield, making 11 appearances and attracting the attention of bigger clubs. Travis was on the books at Liverpool while Benitez was manager, but he failed to make any waves on Merseyside. Although initially starting out as a defender, he has found a home in the middle of the park for Tony Mowbray's side. Benitez has long since been an admirer of Almiron, who has been impressing for Atlanta United in the MLS. The 24-year-old is value at around £25m, but is allegedly demanding £5m a year in wages. Given the financial constraints placed on Newcastle by owner Mike Ashley, it could be a while before the two teams reach parity in negotiations. ​Arsenal have also been linked with Almiron, who scored 13 goals and recorded 11 assists for Atlanta last season. He's also been capped 12 times by Paraguay. ​Newcastle's difficulty with recruitment has been well documented, with Rafa Benitez growing frustrated at the lack of backing he's received in the transfer market.